Losing weight on a conventional diet involves consuming less calories at mealtime as well as a regular exercise routine to help you burn off your existing fat. Most diet pills are designed to help you accomplish both of these activities by reducing your appetite and increasing your metabolism. The problem with many of these diet solutions is that they try to do too many things at the same time. EPH 30+ is more specific in its approach will do one thing well, raise your metabolism to help you burn through your existing fat. EPH 30+ product is considered part of the “fat burning” category of diet pills and can be very effective for most people. It helps you convert your stored fat to energy that can then be used during a workout. This step is critical in shedding the pounds you need to lose and can be very difficult to do without the help of a product like EPH 30+. Losing this weight on your own will take longer since it requires your system to change the way it deals with the foods you eat. Even though this is something that will occur naturally with any diet, it will take longer than when adding a product like EPH 30+ to your routine when you exercise. The way this product works is by stimulating your system and raising your metabolic rate. This change will accelerate your fat burning when you work out and can really help you lose the weight you need more quickly. This higher metabolic rate will also increase your blood flow and give you the energy you need to finish a tough workout and still have energy left over. The product can help improve your breathing during workouts, which also has the added benefit of transferring more oxygen to your bloodstream to increase your energy. Even though the product is very effective on its own, the manufacturers suggest taking it along with aspirin and caffeine. This three-pill combination creates what is called an E.C.A. stack that can dramatically increase the effectiveness of the product. It is suggested that these three pills in combination produce an abundance of energy and will allow your system to shed far more weight with the average workout than ever before. The only concerns with using as a diet aid is that the increase in your metabolic rate that it provides can be a problem for certain people with existing medical conditions. If you have any concerns that the product may not be right for you, please see your doctor before you start using the solution. 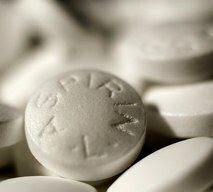 The other side effects are minor and may include dizziness, dry mouth and occasional headaches. While these only affect a small portion of the people that use the product, they are something to be aware of that others have experienced. The other thing you may notice is a slight jitteriness just after your workouts and this is due to your system returning to its natural state and lower metabolism. This is normal for most people using, but should be checked if it happens often. 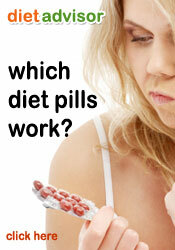 There are several diet tablets that are preferred over and above EPh30. 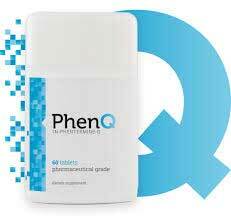 Product such as Capsiplex, PhenQ, Proactol XS and Raspberry Ketone Plus are proving to be big sellers in the UK market place.